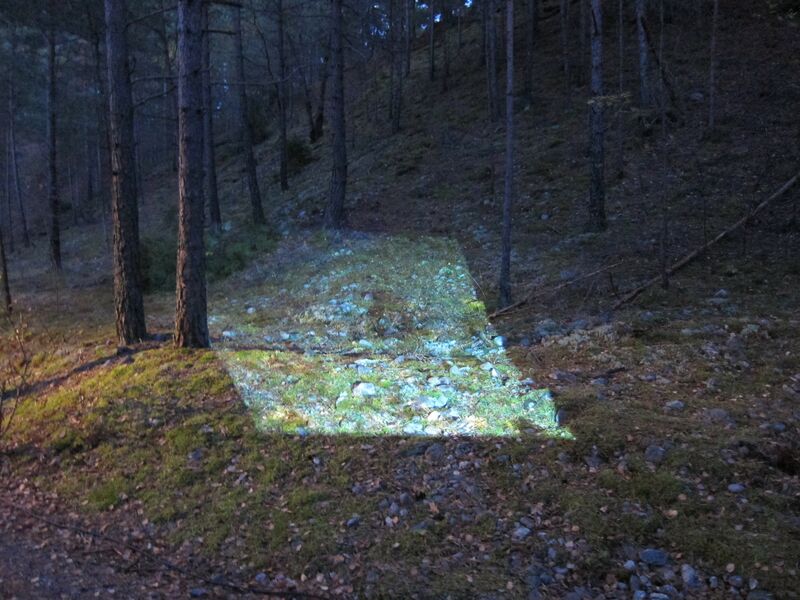 Site-specific light installation made from microscope photographs of Viking Age archaeological textile finds from a cemetary in Fittja, a suburb to Stockholm. The artefacts were removed at the excavation of the area in the 1970ies, when the large housing complexes within the so called “Million Programme” were constructed in order to meet the demands of the growing population in Sweden. I enlarged the microscope photo of a very small textile fragment made of wool from the garment of the deceased person once living in the area, preserved due to its contact with a silver brooch. A few millimeters of textile fibers were transformed into a monumental light installation, placed at the site of the former grave. By the act of this art work I give the removed material memory back to the landscape.